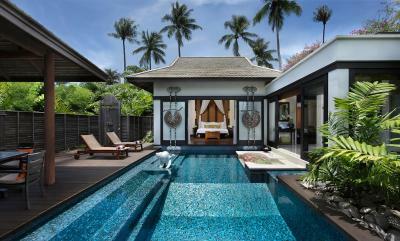 Lock in a great price for Anantara Mai Khao Phuket Villas – rated 9 by recent guests! Very nice villas, Clean and big. staff very kind, smiling and always want to help. Foods was very good , quite place, just perfect, not far away from the airport and 40 min from town. 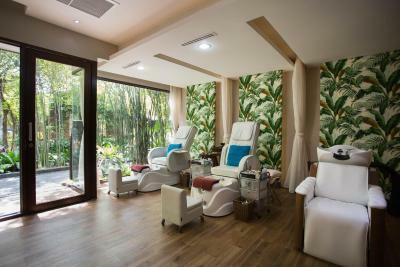 Very friendly environment..make you feel you are in your home ..and every body at your service...that means they have great management who knows how to tolerate there staff ...when staff are happy and helpfull means management knows there job...the best think was the Spa...very experiences and they knows there job very well. 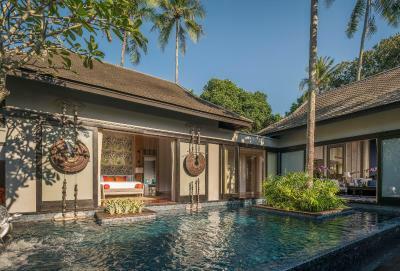 Anantara Mai Khao Phuket Villas This rating is a reflection of how the property compares to the industry standard when it comes to price, facilities and services available. It's based on a self-evaluation by the property. Use this rating to help choose your stay! 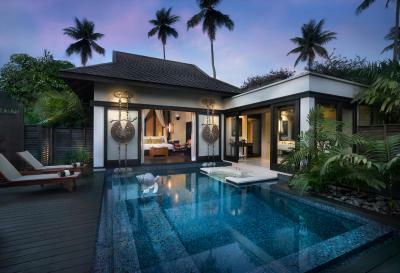 One of our top picks in Mai Khao Beach.Located on Mai Khao Beach and partially bordered by Sirinath National Park, Anantara Mai Khao Phuket Villas features a beachfront infinity pool, 5 dining options, and villas with private pools and sundecks. 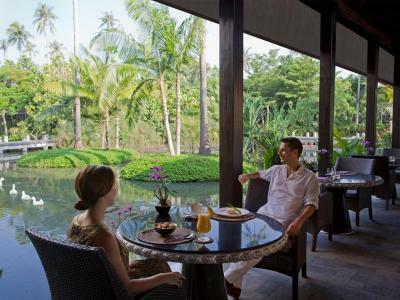 Anantara Mai Khao Phuket Villas is a 15-minute drive from Phuket International Airport. Patong Beach and Phuket Town are both 30 minutes’ drive away. Each villa features an espresso machine and a personal wine cellar. 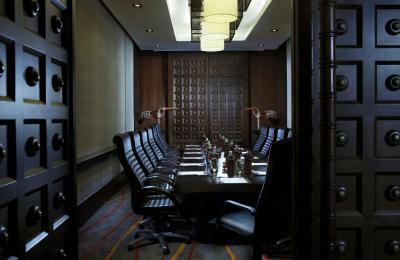 A flat-screen TV, DVD player, and BOSE sound system are provided for guests’ entertainment. The bathroom provides a terrazzo bathtub big enough for two. 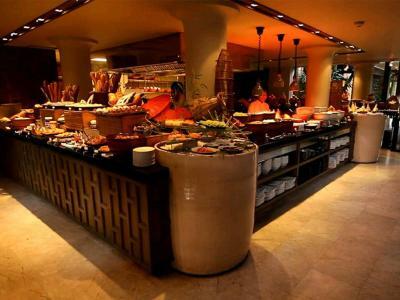 A breakfast buffet with live cooking stations is offered at La Sala restaurant, which also serves international buffets. The beachside Sea.Fire.Salt. specializes in grilled seafood, while cocktails are available at the Tree House. 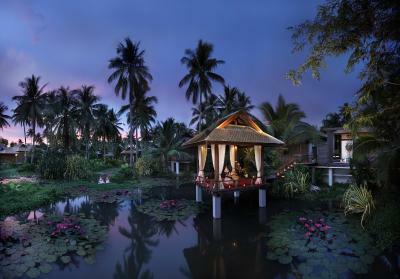 When would you like to stay at Anantara Mai Khao Phuket Villas? Furnished with southern-style decor, the garden-enclosed villa features a private pool, a flat-screen TV with a DVD player and free WiFi. 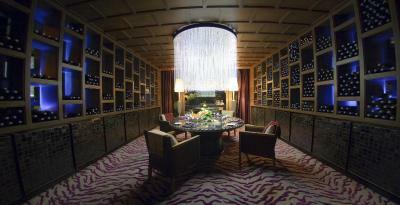 It comes with an espresso machine, a personal wine cellar and a mini-bar. 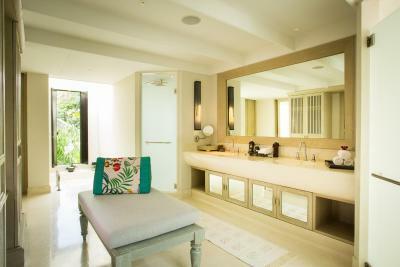 An private bathroom has a separate bath and shower leads to an al fresco rain shower. 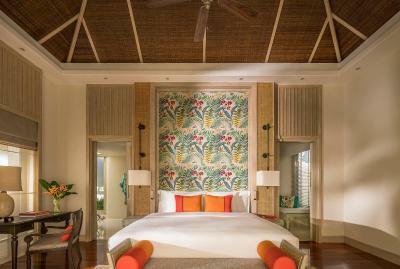 Boasting a terrace facing the scenic lagoon, this elegant villa accompanies stylish bedroom and an private bathroom with indoor and outdoor rain showers. Guests can dip themselves in the outdoor personal pool or enjoy the built-in terrazzo bathtub. Nestled among greenery just a few steps from the lagoon, this majestic villa is appointed with a multimedia-equipped living room as well as a well-supplied private bathroom. The villa is connected to an outdoor pavilion via a wooden walkway over the waters. Appointed with a living room and a dining area, this cozy villa features air conditioning, a satellite TV and BOSE sound system. The master bedroom comes with a king-sized bed, while the second bedroom comes with twin beds. 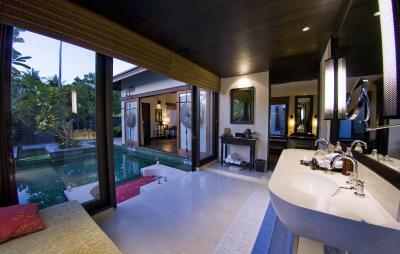 Guest can enjoy a private pool, sun loungers, as well as the outdoor bathtub and rain shower. 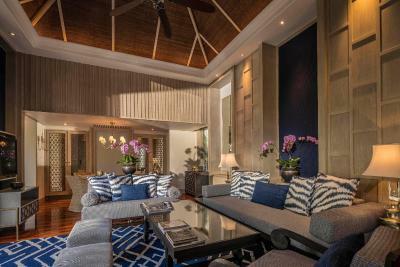 Boasting a private open pavilion over the lagoon, this tasteful villa has air conditioning, a satellite TV and BOSE sound system in its cozy living and dining area. The master bedroom comes with a king-sized bed, while the second bedroom comes with twin beds. This villa features a mini-bar, DVD player and electric kettle. 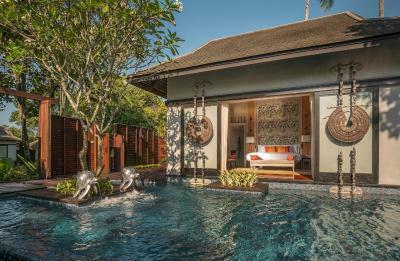 Located in a quiet area of the resort reserved for Anantara Vacation Club, The pavilions feature two private pools, indoor and outdoor dining, two kitchens, private bathrooms and outdoor showers. 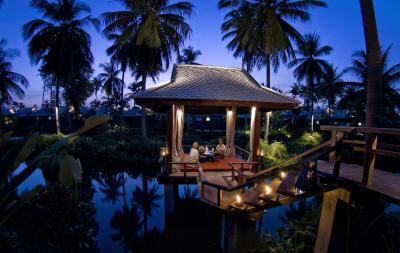 House Rules Anantara Mai Khao Phuket Villas takes special requests – add in the next step! Anantara Mai Khao Phuket Villas accepts these cards and reserves the right to temporarily hold an amount prior to arrival. Please note that, a compulsory Gala Dinner is included in the room rates of 31 December 2019. The rates of the Gala Dinner are based on room type and occupancy (any extra guests and children are charged separately). 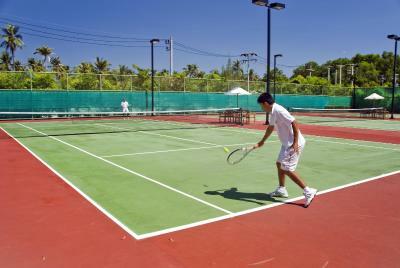 Please note that the property offers a chargeable transfer from/to Phuket International Airport. Guests are kindly requested to inform the property in advance if they wish to make use of this service. Contact details can be found on the booking confirmation. A security deposit of THB 5000 per day is required upon arrival for incidentals. This deposit is fully refundable upon check-out and subject to a damage inspection of the accommodations. Please note that the name of the credit card holder must be the same as the guest's name and credit card must be presented to the hotel upon check-in. A photograph or photo-copy of the card will not be accepted. The name on the presented credit card must also match the name on the presented identification card / passport. The property does not accept third-party credit card payments. For safety reasons, guests who fail to present this same credit card used to guarantee the booking, will be kindly asked to settle the payment again upon arrival by cash or a new credit card. Please note that the full amount of the reservation is due before arrival. 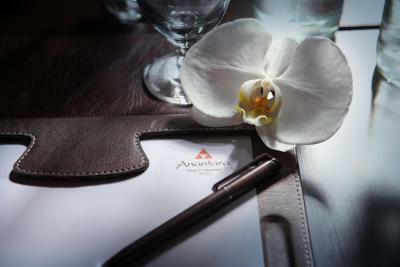 Anantara Hotels & Resorts will send a confirmation with detailed payment information. After full payment is taken, the property's details, including the address and where to pick up the keys, will be sent to you by email. Loundge bar by the pool could be better set up for evening drinks. Music could remain chill out but maybe a little more up to date. Except from that the hotel is undoubtably at the level of a five star hotel. People kindness, attention and professionalism makes it an exclusive place. 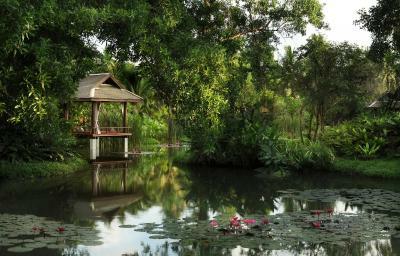 Very beautiful hotel surrounded by stunning vegetation. Even though I hurt myself on my first day, Mrs Yah and her amazing team were looking after me to make sure our trip is enjoyable. We felt very comfortable during our whole stay and we hope to return sometimes. 1. We arrived after the sun set and at the main entrance there were lit torches on both sides of the walls and there is when your adventure begins. 2. The staff at the check in will do all what is expected at a resort of this level; refreshing towels, welcome drinks, flowers, comprehensive info, etc. 3. Villa with private pool is amazing. The whole place is designed in such a way that gives you a total feeling of ‘at home’ comfort while you are in an exotic vacation. 4. The outside garden/wooden deck dining/resting area, fridge/cooler, bathtub and garden sower are all ideal facilities for spending the hot evenings. 5. 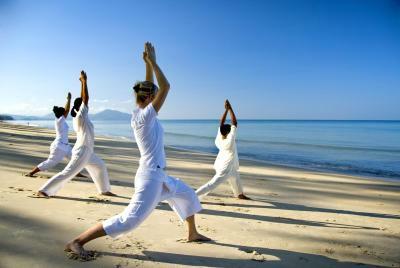 The staff is very nice and attentive in all departments of the resort. Alex, the relationship manager, besides that he is multilingual, he was very attentive on a daily basis trying to make your stay as comfortable as possible. 6. 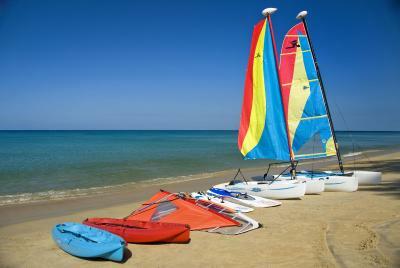 Water sports are complementary; kayak, sealing boat, surfing boards. We enjoyed it all. 7. 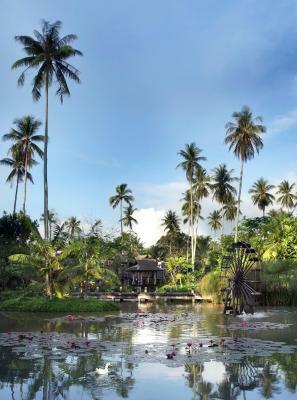 The whole resort is a tropical garden and the architecture and landscaping is beautiful giving you both, the sense of luxury as well as the rustic/local character. 8. 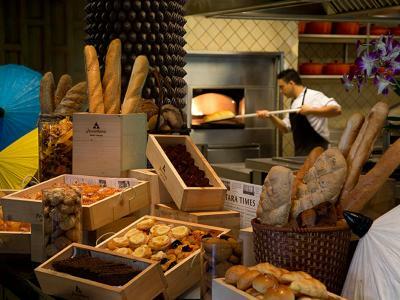 The breakfast catered for all culinary tastes; from sushi, noodles, curries and other asian dishes to the more European cheese, bacon and eggs cooked in all possible ways. Local fresh fruits and freshly squeezed juices were absolutely fantastic. The hotel is very fancy, good staff there. My Mom was falling from bicyle by accident. The staff helped us a lot, especially Yan and Moom, highly recommend the hotel. This was my second visit. Aside from the obvious beauty of the hotel and the rooms. The staff were incredible. We all understand and appreciate that Good Service/Facility does come with a higher price tag, this one in Anantara Mai Khao is way TOO expensive comparing to the rest of Phuket 5-star hotels, not sure if it's really that necessary, considering you don't really have the beaches like Maldives and facilities are pretty standard for 5 star resort. The costs of a dinner/lunch/drink is the same price you'd pay in London... which kindly defeat the point of visiting South Asian across the ocean, this price is in line with the price in Maldives when we stayed early January 2018... A few of the staff have confessed that it was not like this before, but ever since the change of GM, he in particularly wishes to reposition Anantara Mai Khao to a luxury resort, unfortunately the idea might be encouraging, but the location and the beach quality and some of the facilities do not do the justice, my comment is if you wish to do it, may as well do it properly, upgrade some of the entertainment areas i.e.the beach bar and expand your infinite swimming pool and provide a few more restaurants options for clients too... Otherwise do stay like a premium resort and keeping your original price tag which will attract and retain valuable and frequent travellers like us! This trip was for my family of three females: Mother, Daughter and Auntie, we loved the villa with a private pool so you can dip in and out as you please, you own the full privacy at the same time. What we really love is that everything is within walking distance i.e beach, swimming pool, restaurants etc all within Anantara villa community, we have everything we need. The breakfast selections are beyond words, they are very generous with the numbers of options for different cuisine, home-made juices and the highlight is the Mekong delta-ish fruit boat does by swing by if you are lucky, occasionally you get to see the lizard popping in and out - rather curiously... 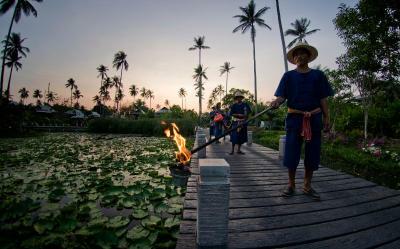 Overall it has certainly achieved our aim of visiting Thailand for a 10-night trip!